In case you thought that bringing civil court cases against grand lodges was a strictly U.S. phenomenon, comes this story from Australia. Six years of unrest within the Ancient Free and Accepted Masons of South Australia and Northern Territory are the subject of an Adelaide Magistrates Court lawsuit. 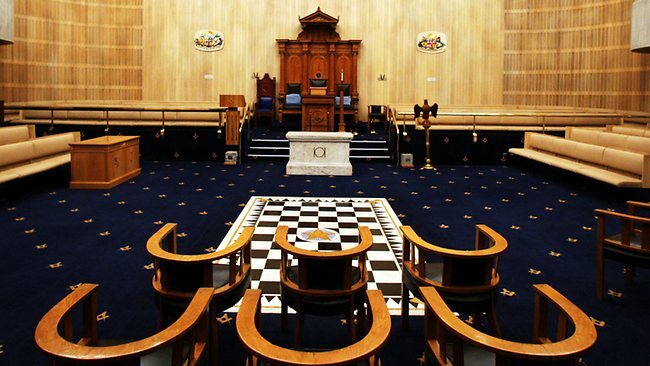 James Spriggs has asked the court to force the reinstatement of his Freemasons membership. He claims the elite group denied him "natural justice" by expelling him when he complained about the way it ran an aged care facility. The society, however, has told the court Mr Spriggs' "persistent and unwarranted interference" amounted to "conduct unbecoming a Freemason". The court action centres on Mr Spriggs' opposition to the running of the Memorial Masonic Village in Darwin. Court papers assert that, since 2006, he has written letters accusing the village's board - consisting of Freemasons - of mismanagement. At the time, he held the elected position of "Worshipful Master" of the Darwin Lodge, which falls under the jurisdiction of Adelaide's Grand Lodge. Mr Spriggs' letters claimed "unchecked innuendo" about the village potentially being sold had done "psychological abuse" to its tenants. In his statement of claim, Mr Spriggs says his expulsion was "oppressive and unreasonable". "They did not advise me of any details of the matters they considered I had done wrong," he says. Mr Spriggs has asked the court to reinstate his membership and award him costs. In their defence documents, the Freemasons say Mr Spriggs' "persistent" claims of mismanagement were not supported by any evidence. "(He was told) the consequences of continued conflict with the elected board would be expulsion," the papers say.